In June and July of 2017, I began research and development for an interdisciplinary performance based on the underwater soundscapes of the Yukon rivers. 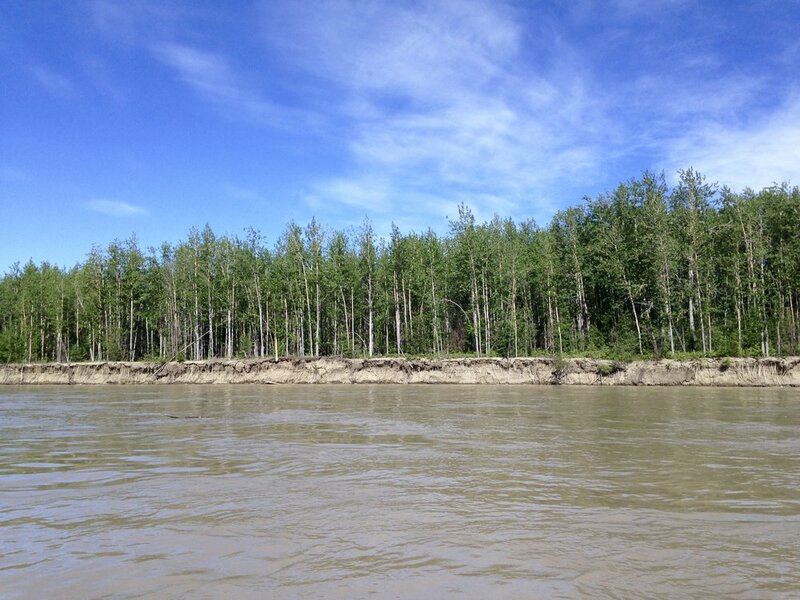 The Yukon Rivers Performance Project (working title) was designed in partnership with Dr. David Barclay of Dalhousie University’s Oceanography Department. The fieldwork phase was carried out in collaboration with Barclay's lab and included a formal art residency at Klondike Institute of Art and Culture (KIAC) in Dawson City, YT. The project reflects and incorporates values and priorities shared across Canada, including a focus on water health, incorporation of local knowledge, and community involvement. The project takes place in the Yukon, Nova Scotia, and Ontario, allowing significant opportunity for cross-pollination of ideas and knowledge geographically, as well as between scientific, environmental, artistic, and cultural realms. Inspiration for the project came when viewing examples of Barclay’s visual noise models based on underwater ocean recordings. I was impressed at the capacity of these shaped colour fields to yield immense information about water properties and excited by the possibility of using highly graphic figures as scores for movement. In further discussion, we noticed a beautiful symbiosis of language. Colloquially we use the words body, movement, and rhythm to talk about water. The cooperation of scientific and creative arts professionals is timely given the assault on funding in both fields over the past decade in Canada and particularly considering the current political reality in the US. As a result of the research and development proposed in this application, we will produce work that serves as an example of the mutual benefit and rich potential of collaboration between science and art. Through collaboration, we highlight similarities in our practices such as the use of open ended query in lab or studio. We also reveal areas of difference that may prove generative and stimulating. Dr. Barclay collaborated remotely from his lab in Halifax, NS while I was on the ground in the Yukon. 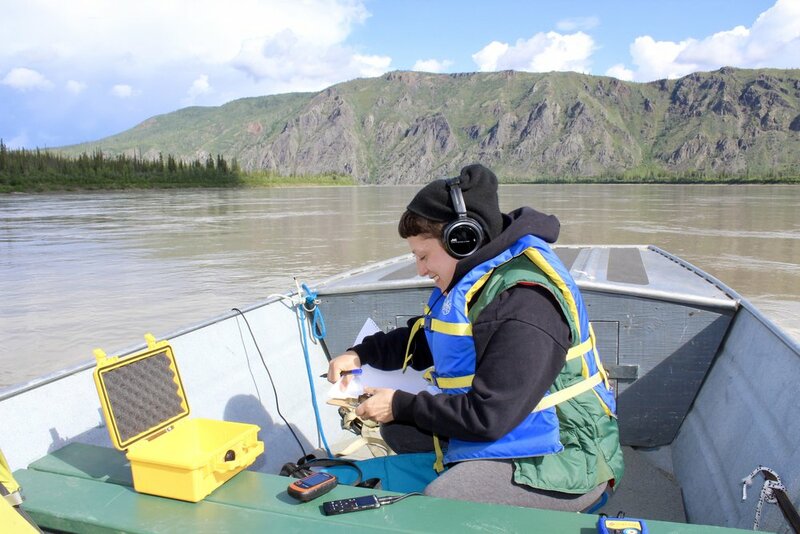 Our collaboration involved the collecting, sharing and interpretation of underwater sound recordings of the Yukon and Klondike rivers. The acoustic data that I collected will be used by Dr. Barclay in a scientific study of the rivers. It will also be the basis of a manuscript to be submitted to a journal. The objective of the scientific study is a characterization of the ambient noise baseline in the rivers to identify the natural, biogenic, and anthropogenic sources contributing to the soundscape. The underwater soundscape presents a rich measure of what’s hidden under the water surface, providing information on the health of the ecosystem, environmental processes, transport of sediment, and human activity. Establishing the ambient noise baseline and anthropogenic contribution is crucial in studying the potential impacts of human and industrial activity on marine species that use acoustics for communication, navigation, foraging and so on. In order to collect data, I drifted by boat (canoe, raft, or motorboat with engine off) downstream and recorded the river’s underwater soundscape using a hydrophone and recording kit provided by Barclay’s lab, noting measurements such as water temperature and current speed, as well as written observations of the river environment including animal or human activity. The path of the hydrophone was tracked and recorded by GPS. Drifting with the river’s natural current was an important factor in getting a true picture underwater, eliminating the distorting sound of the hydrophone breaking the water’s path. The drift also provided a natural choreography of movement and direction that may be used as an element in the finished performance work. Data was sent to Halifax lab for analysis and interpretation regularly during the collection period. Barclay will use the information to create figures and visual representations. After analysis, Barclay sent these visuals along with a layman’s account of their meanings back to me in Dawson City. This project is intimately tied to the well being and health of the water around which the Dawson City community is based. 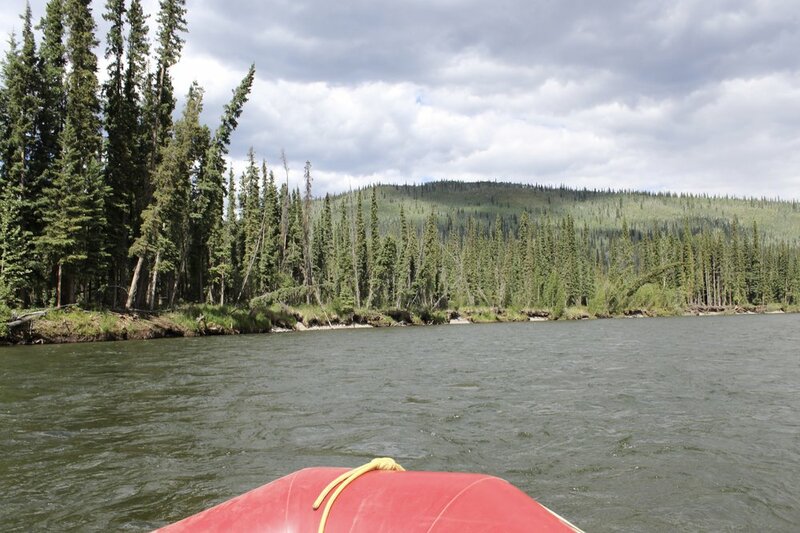 The Yukon River has and continues to play a vital role in the lives of Yukon First Nation (Tr’ondëk Hwëch’in/people of the river) and settlers. While in Dawson, I began to gain an understanding of the historical, cultural, geographical, economic, and environmental significance of the rivers from First Nation and settler perspectives through the Tr’ondëk Hwëch’in Heritage Centre, staff at TH Natural Resources, and individual community members. While I just scratched the surface in my brief time up North, I am really grateful to the generous folks that leant me books, told me stories, and especially those that took me on the river. 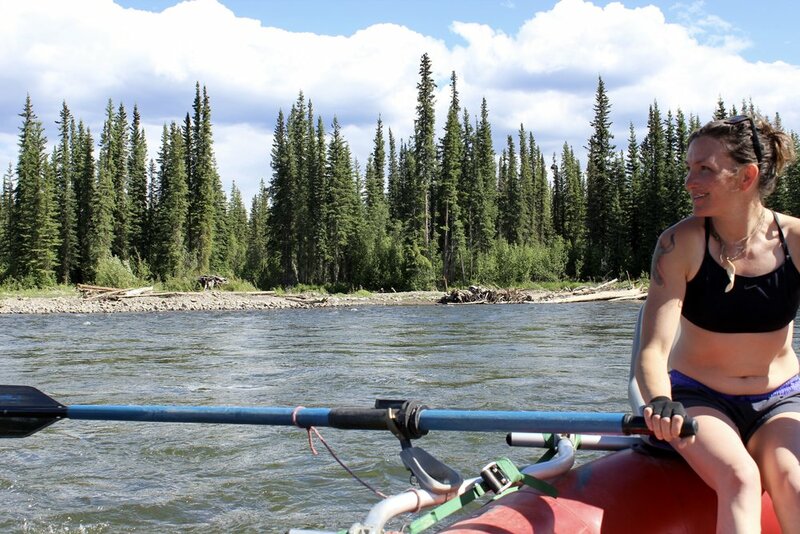 The river trips could not be accomplished without the generosity of local volunteers (individual residents, outdoor outfitters, and Tr’ondëk Hwëch’in Department of Natural Resources) who offered their boats and acted as guides. This investment of time and energy speaks to the community's goodwill and kindness. Being a KIAC artist in residence, was a great advantage in this regard. Besides the material and logistical support, KIAC’s weekly newsletter and good standing in Dawson City meant that locals had a point of reference for me and my project. I was immediately affiliated with an important community contributor. Throughout the residency I also engaged in various forms of community outreach facilitated by KIAC including an artist talk and movement practice, where I will led participants in somatic and improvisation based exploration. Returning from the North, I've begun the development and creation stage of the project. I will use the visuals provided by Barclay to create a choreographic score for the movement portion of a twenty minute performance. This score will set up boundaries and parameters in which prescribed and spontaneous movement can arise. In studio, professional dancers will act as interpreters to see how the score functions in practice with moving bodies. I will work with the dancers to fully develop the score. The underwater sound recordings will be reworked into an audio composition for the eventual performance. Barclay’s figures will be used as material in the visual design and costuming. KIAC has offered an invitation to present the performance based on the research and development phases of this project in Dawson City pending funding. Eventual presentation in Dawson will include a participatory community component.